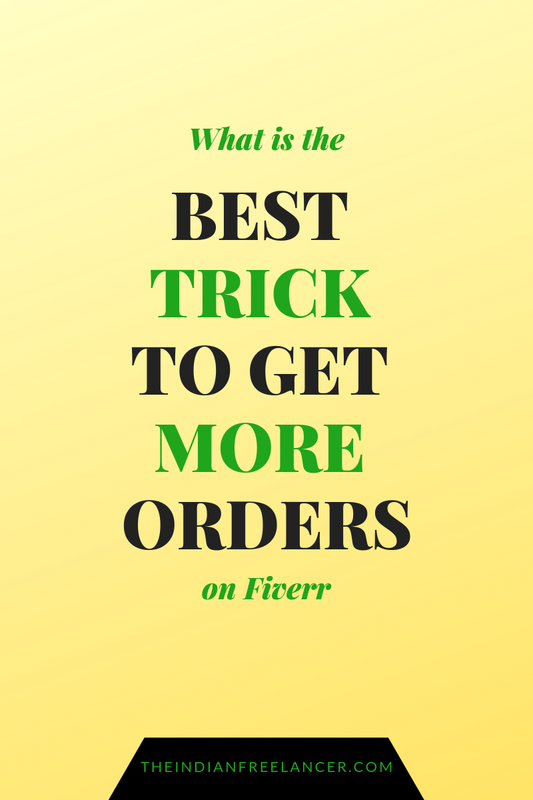 The Indian Freelancer: Which is the best trick to get more orders on Fiverr? Which is the best trick to get more orders on Fiverr? Welcome back to my blog. I hope you are doing absolutely awesome, just like I am! This question which I got from one of my subscribers is very interesting. He has actually taken my Fiverr course on Udemy and has suggested me a couple of changes too, which I promptly made. In this question, he says that, "I understand all that I need to do to get started, but which is that one best trick that can be done to get more orders on Fiverr?" I am going to answer exactly that in this article. But before you read any farther, please go to the comment section and write down the best trick that you think will help a seller on Fiverr to get more orders. This is because it is important to try and exercise your brain as well. I want you to do this simple exercise and write down whatever you feel. Remember, there is nothing right or wrong here. You write what you feel right and I will tell you what I found to be the best trick to get more orders on Fiverr, based on my experience so far. Go ahead and write it in the comments. Done? Thank You! Now, read on to find my recommendation. If I have to tell purely based on my experience on Fiverr, I would say that the most definite way of getting more orders is to apply in the Buyers Request section. Yes, on the Buyers Request page you will find a lot of ads or requirements listed from which you can choose the one that you are interested in and apply for those jobs. Ensure that you use all the 10 allowed applications every day, which is the limit set by Fiverr. When you send 10 applications on a daily basis, ensure that you put in your best effort to write those offers. Think about the various other sellers who might have applied for the same job. Ensure that you mention the best turn around time which you can do and the best price based on your expertise of doing that job. Writing a proper proposal or offer here is the most important thing. If your writing is not interesting or exciting, the buyer may not be interested at all. To know more about how to write a proposal properly, please check out my Course: How to Start your Career on Fiverr – Hindi & English. There are other things also that are important, as your level and seniority in the platform, and your gig gallery where you have gig images, video, and the PDF portfolio. I have talked about these in detail in my Udemy Course. But I think the best trick to get more orders on Fiverr, is to send commendable buyers requests when you are at it. If you want me to write about the absolute techniques of writing a proposal on Fiverr, please do let me know in your comments. I will do that for you. Let me know in your comments what do you like to do to get more orders on Fiverr. I would love to read. It will also help other readers. Again, if you have more questions, please feel free to get in touch on the Facebook page or on YouTube or just comment here below. Cheers! Thanks for reading this post. I hope you liked it. If you did, please do not forget to subscribe to us. You may also want to check out our YouTube Channel, where we post videos with various freelancing tips and tricks, which can definitely boost your freelancing career and business! The Channel name is The Indian Freelancer and can be accessed here: www.YouTube.com/TheIndianFreelancer. Thanks for visiting and reading my blog. Please feel free to write a line or two and let me know how this blog is helping you. Your feedback is very important to me. What is Stopping You from Being a Success? How hard is it to be successful on Fiverr? All Time Hits on TiF! All Rights Reserved by The Indian Freelancer. 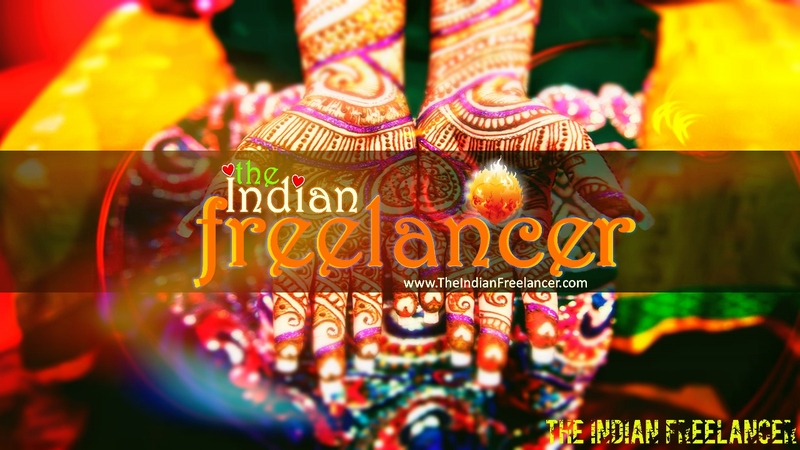 All the content is prepared and posted by The Indian Freelancer. Content is not bought or borrowed from anyone - either for free or paid! Copyright (c) 2017, The Indian Freelancer. Awesome Inc. theme. Theme images by friztin. Powered by Blogger.